A 523-horsepower apology letter from Ferrari is a good way to make things better. 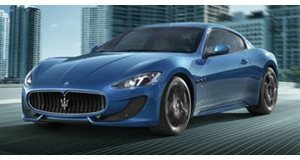 Maserati has been disappointing us with constant delays of cars that were supposed to reposition the brand as a major player in the luxury and sports car brackets. We keep hearing about how it wants to get things just right, but sometimes this mentality can cause a car to emerge from the press as an outdated machine. This happened in the case of the Lexus LFA, and even though that car was great, we’re not sure Maserati can pull off the same move with the Alfieri and Grand Turismo replacement. However, Maserati Davide Danesin has just given us fewer reasons to worry after he spoke to Australia’s Drive magazine. In the interview, he mentioned that the Grand Turismo coupe replacement will emerge in 2017 along with a possible convertible variant followed a year later by the Alfieri. Even though both cars will be similar, each will target a different audience. The Grand Turismo will be a large comfortable four-seat cruiser for soaking up the miles while the Alfieri will be a 2+2 sports car that will compete with the Porsche 911. Part of the reason for the Alfieri’s delay is that a new and sportier architecture needs to be developed, which makes sense if the 911 is in Maserati’s sights. It will share a common basis with the Ghibli’s frame, but it will sit lower, use more aluminum, and have a front suspension that's further away from the cabin to allow the engine to sit lower. This would give the Alfieri and Grand Turismo a longer and lower hood to make both cars look more aggressive and lower the center of gravity. While Danesin didn’t talk about what powerplants would live under the low hood of each car, we can say with some certainty that we can expect both 345 and 424 horsepower versions of the 3.0-liter twin-turbo V6 from the Levante to be available. True speed hounds would be able to opt for the 3.8-liter twin-turbo V8 for 523 galloping horses of getaway power. Let’s see if Maserati can stick to the deadlines this time.